Like a beach bum tearing off his clothes before diving into the ocean, MGMT sheds its electronic sheen and pop hooks on its second LP, Congratulations—and, with that, the accessibility of debut Oracular Spectacular. Cowbells and organ chords set the frenetic pace for this crazed and eerie take on surf music that namechecks the godfather of ambient in its punkest track (“Brian Eno”). But in between enlightened ramblings, the band interjects a refrain that bursts forth brighter than a July sun (“Someone’s Missing”) and cues up psychedelic movements that wash ashore like the calmest of waves (“Siberian Breaks”). These moments form an undertow, luring you in and keeping you immersed. Once the sonic tide breaks and recedes, MGMT is left standing, quite solidly, on new shores. 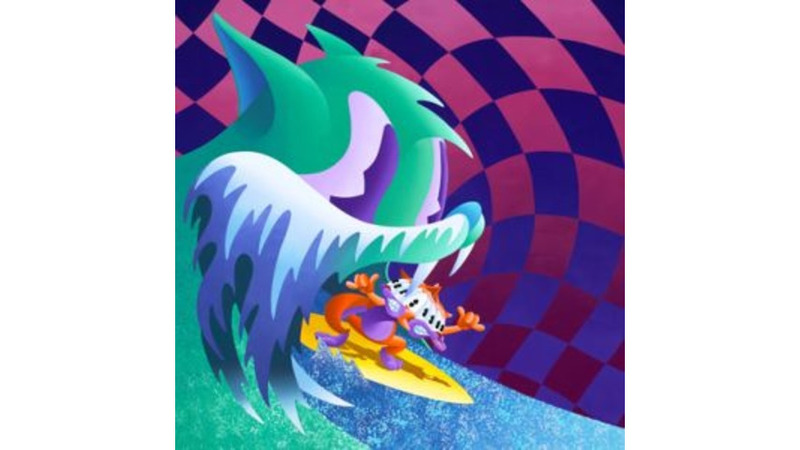 Congratulations, MGMT, you have made a truly ridiculous record! (They had to live up to that album cover somehow, right?) Reader, you know how groups like The Flaming Lips and Of Montreal—truly great bands with genuine, experimental talent—can, when left to their own devices, go a bit too far? MGMT is like some nightmarish amalgam of those bands’ bottom-barrel ideas set to wanky synths, sometimes for up to 12 minutes (!!!) at a time. The interminable mess in question, “Siberian Breaks,” is a nadir that band member Andrew VanWyngarden (even his name is excessive) told Spin is about “surfing in the Arctic Circle.” That’s what these guys write about: surfing in the Arctic Circle. The very next track is titled “Brian Eno.” Pro-tip, dudes: His Holiness Eno’s name is off limits, especially when you write a song that evokes it in a way that is, at best, an embarrassing novelty. Who could possibly take this album seriously?